Fascinated with the beauty of Coron in Palawan, I couldn’t remember how many times I’ve been to this paradise already. The first time that I’ve been here was 6 years ago and since then, I was already captivated with how wonderful Coron is. But this part of Palawan is more than just about Coron. 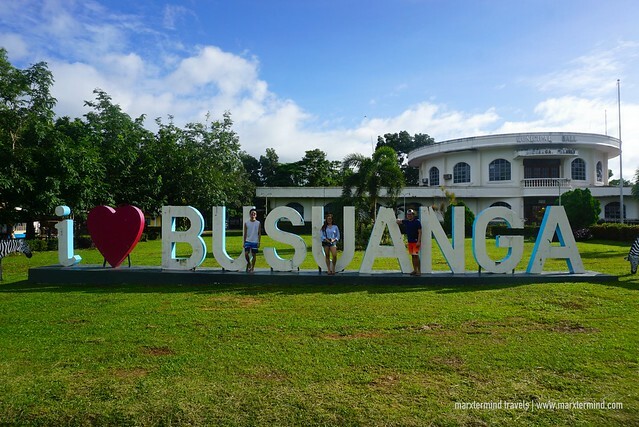 The municipality of Busuanga is also home to many stunning places to explore. It also has a some interesting and breathtaking sights to see. 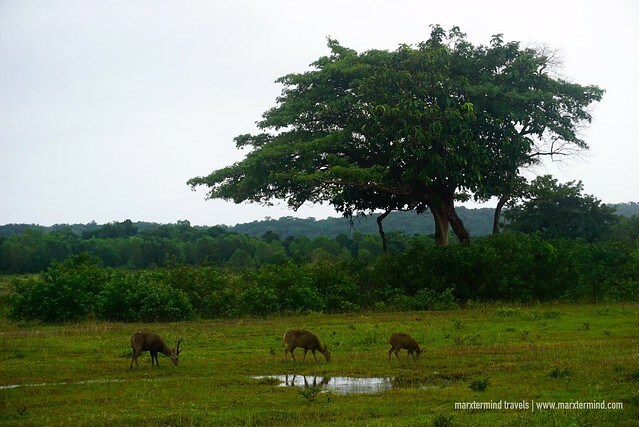 One of the most popular is the Calauit Wildlife Sanctuary. 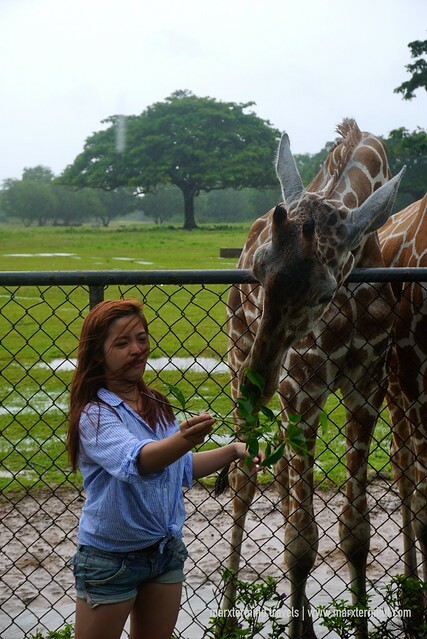 Joining a Calauit Safari Tour, guests can enjoy the wildlife park and have a unique safari experience. I’ve been wanting to join this activity and it was just recently with my friends that I was able to do it. 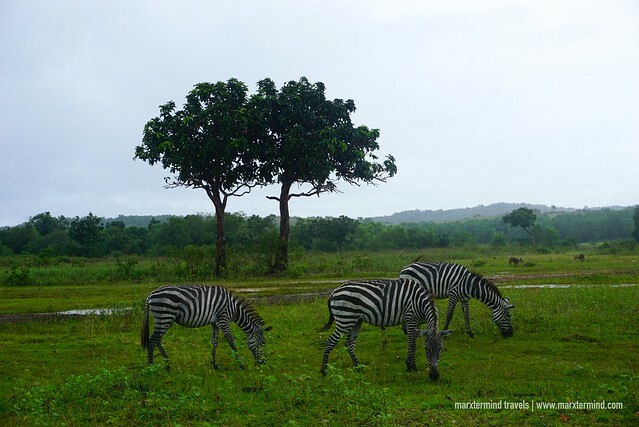 Traveling to Coron for just a weekend, my friends and I decided to do the Calauit Safari Tour. We asked help from a recommend tour agency, Natural Arts Travel and Tours. We joined a group tour for one whole day discovering the wonders of Calauit Wildlife Park and learning more about the sanctuary. Combined with this tour is also a visit to Busuanga Town, Pamalican Island and Concepcion Falls. The tour also already includes all entrance fees, licensed tour guide, transportation, breakfast and lunch buffet. Joining this tour was very convenient for us because we didn’t have to worry anything anymore. But we had to wake up early for this tour. Busuanga is around 2-hour drive from Coron so we have to start early. The driver picked us up from our accommodation around 5:30am. The tour is by land, which is now different from the old tours that I knew about Calauit Safari Tour. Before it was by boat that could take 5 hours to reach the wildlife park. It was around 8:00am when we reached the town of Busuanga. We had our breakfast first in one the concessionaires of the tour agency. After that, we were given time to explore the town. We went to the Busuanga Municipal Hall and took a few photos. 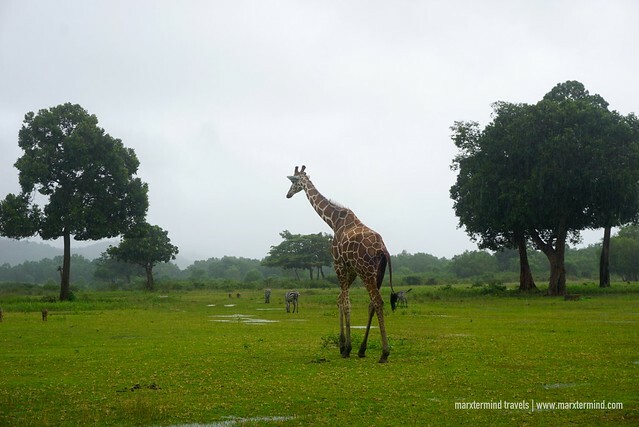 A game reserve and wildlife sanctuary in Calauit Island, Calauit Wildlife Sanctuary is home to some African animals, including giraffes, zebras, and antelopes that all roam freely. To get to the island itself, we had to take a 5-minute boat ride. The rain was pouring down when we arrived at the park. But that didn’t stop us from exploring the place. From the park entrance, we walked for about 15 minutes to get to the main attraction of the wildlife sanctuary. 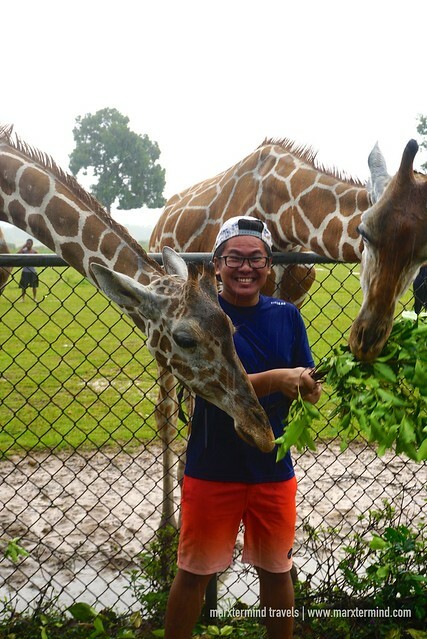 Giraffe feeding is the highlight of this Calauit Safari Tour. When it was our turn for this activity, a park ranger assisted us to the fenced area for a proper and safe way of feeding the tower of giraffe. There was a bundle of twigs with leaves provided to feed these animals. I was a little hesitant at first but the park ranger taught us how to feed them properly. One by one, we tried. 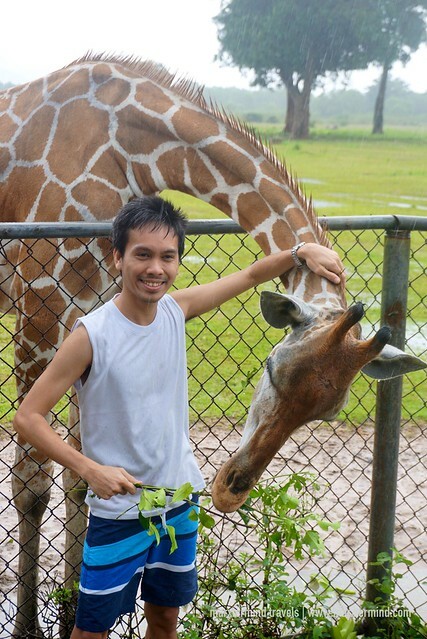 After feeding the giraffe, the park ranger accompanied us to explore the rest of the park. We went to see a dazzle of zebra and herd of deer roaming freely at the park. We also went to a mini zoo where there are turtles, a big python, crocodiles, civet cat, eagle, monkeys, and wild boar. More than just seeing these animals, the park ranger also shared to us some information. The tour ended after an hour. Seeing some of the animals up-close gave us a piece of a safari experience. 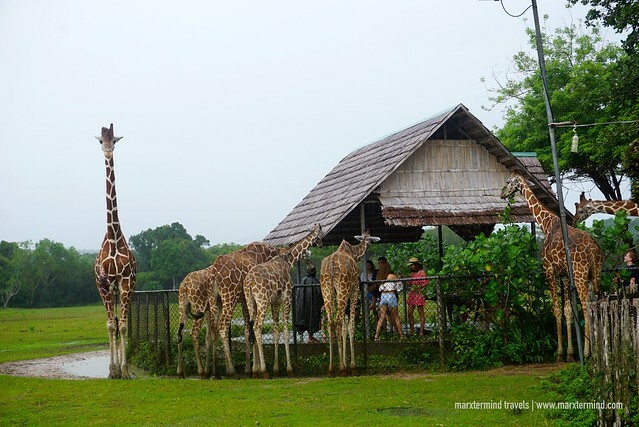 Although it was raining, my friends and I had a nice and enjoyable time at Calauit Safari Park. Continuing the Calauit Safari Tour, our group visited Pamalican Island. It was after having our lunch when we went to the port near Busuanga Town to get to Pamalican Island. 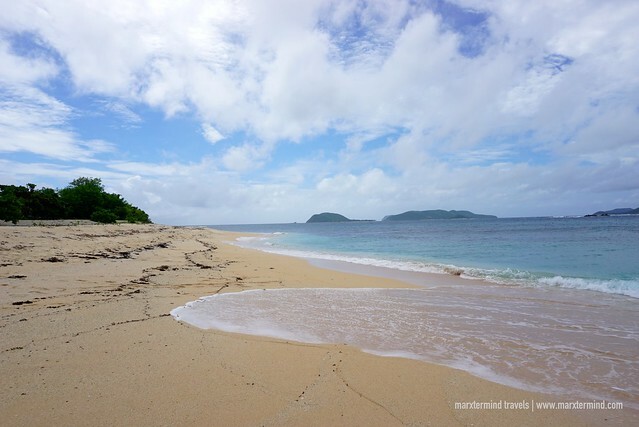 Not to be confused with the same name of this island in Cuyo and is more popularly known as Amanpulo, Pamalican Island in Busuanga is a 50-hectare uninhabited island with white sandy shore and crystal clear waters. We reached the island after an hour boat ride. It looks beautiful and an amazing place to relax after spending half of our day touring Calauit Safari. We had an hour and a half to enjoy the place. After taking some photos, my friends and I decided to swim and just have some fun in the beach. We were supposed to visit another beach that day but because of the rainy weather in Busuanga area, the tour guide offered us another place to visit instead. That is the Concepcion Falls. I’ve learned about the waterfall when I saw it in the poster inside the tricycle that we rode when my friends and I went to Maquinit Hot Spring a day before. Since I haven’t been to this waterfall in Coron, I got a bit excited. Our driver and guide dropped us off along the main road and from there, we had a short trek to reach Concepcion Falls. The place was actually nice. There were a number of people when we arrived but it was not too crowded. Our group had a nice dip in the cool water as a reward before we end our Calauit Safari Tour. It was already past 5:00pm when we were able to go back to Coron town proper. The day trip was tiring; nevertheless, we had a great time enjoying all the attractions that we visited. It was full of activities and adventures. 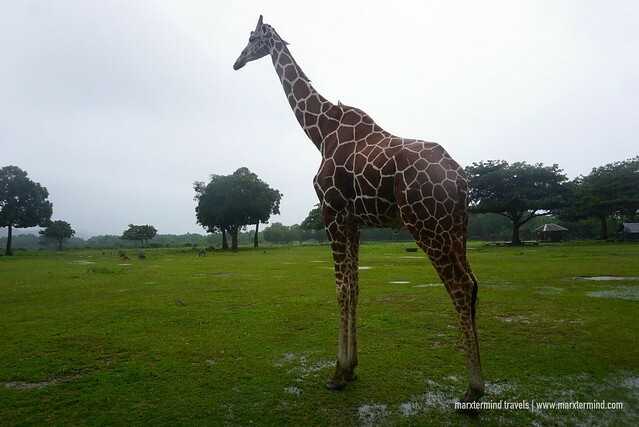 Joining Calauit Safari Tour gave us the opportunity to come face to face with some of the exotic animals from Africa like giraffe and zebra. 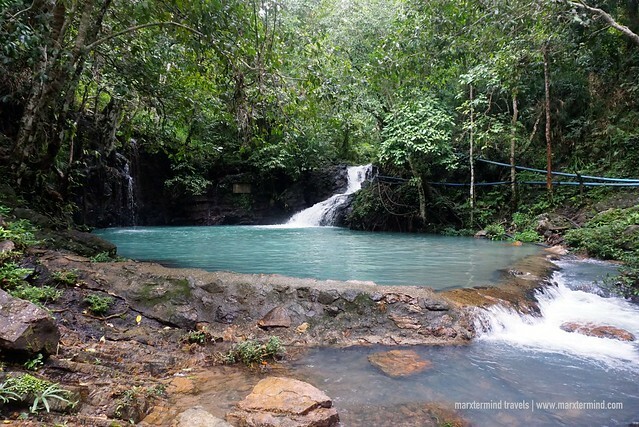 During the tour, I also had the chance to visit new places for me like Pamalican Island and Conception Falls. Going back to Coron for vacation is always a great idea and exploring Busuanga this time made this trip unique and an enjoyable experience. Explore the wonderful destination of Coron with Natural Arts Travel & Tours, a travel company organizing tours for Palawan. Contact the tour agency directly to know more about their tour packages and rates.